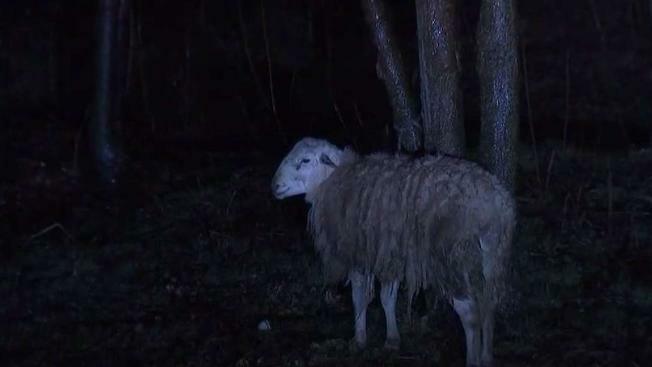 A soaking wet sheep was found tied to a Brooklyn tree. That’s what New York City police discovered in Coney Island Creek Park on Thursday night. Authorities don’t know how the sheep ended up there, but they responded to a 911 call. The animal is now in the New York City Animal Care Center. It’s not the first time that an animal has run loose on New York City streets. Earlier this week, a cow was running wild and was captured on the Major Deegan Expressway in the Bronx. And over last weekend, a goat escaped a slaughterhouse and was found on a Bronx street. A little early for a korban Pesach.